What is #Kash4Klubs? - Klubfunder - Helping clubs raise funds. We have been talking a lot about out our #Kash4Klubs campaign lately, so what exactly is it? #Kash4Klubs has been established to do exactly what it says on the tin – make cash for clubs! KlubFunder and Find Insurance NI have teamed up to bring this fundraising opportunity to local sports clubs. All the clubs have to do is refer their members to purchase insurance through Find Insurance NI. For every policy each club member takes out their club will receive £20 for the initial sale and a continuing payment of £5 for each renewal. Who are Find Insurance NI? Find Insurance NI was founded in 1972 as a locally based family run business and as you probably guessed, they help you find the cheapest insurance quote tailored specifically for your needs. With Operations Director Colin Mullan having a background in sport he understands what goes into the running of clubs and was delighted to get the #Kash4Klubs campaign up and running with us. 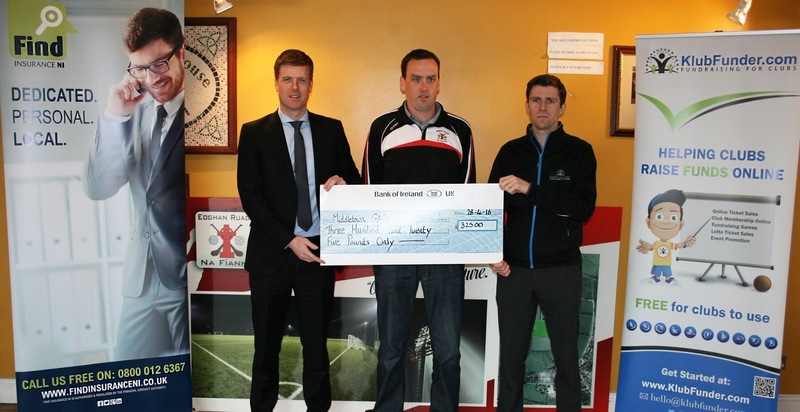 Middletown GAA in Armagh have so far reaped the benefits of the scheme. They have already received their first donation from Find Insurance NI. “We’d like to say a huge thank you to both Find Insurance NI and KlubFunder.com for setting up this fantastic campaign. 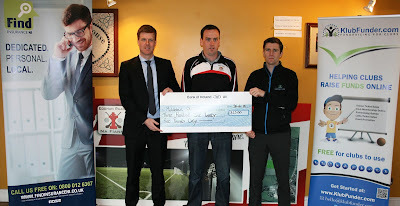 "We’re delighted that Middletown GAA have already benefited from our #Kash4Klubs Campaign. Seeing our donation go towards the redevelopment of club facilities, goes to show how much of an impact the campaign is already having on local sports clubs across Northern Ireland. "We have huge expectations for the #Kash4Klubs Campaign and we’re thrilled to see that it’s already making a difference. We would highly recommend any local sports club to get involved. Getting involved is simple and easy. 1. Register your club with KlubFunder.com - Registration and all of our fundraising services are absolutely FREE!! So why are you not registered anyway?? 2. 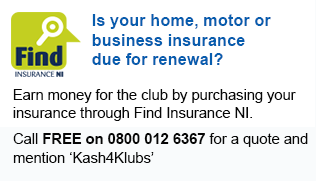 Once registered your club can start promoting the #Kash4klubs campaign to their members, all they have to do is quote #Kash4Klubs when calling Find Inusrance NI.